Hong Kong’s Securities and Futures Commission (SFC) has updated its warning list with unlicensed Forex brokers. The latest addition includes Gulf FX. The Securities and Futures Commission (SFC) of Hong Kong is the independent statutory body charged with regulating the securities and futures markets in Hong Kong. The SFC is responsible for fostering an orderly securities and futures markets, to protect investors and to help promote Hong Kong as an international financial center and a key financial market in China. 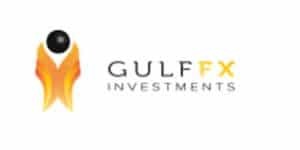 The broker’s website www.gulffx.co gives the regulatory information of the company and that it is owned by Golf Fx EOOD and registered in Sofia, Bulgaria under the registration number 204445448. Although, there is no information about this company on the Financial Supervision Commission website (Bulgarian regulator). Also, the only contact details that can be found on the website are two phone numbers: one is British and the other one is with the Bahrain’s country code. It is obvious now that the company targets UK residents and most probably people from the Middle East without being registered in any of those countries. Considering the above said, this broker seems highly suspicious. There are many fraudulent firms out there and most of them are operating without a proper broker license. Investing in such companies is extremely risky and it is recommended to select among brokerages regulated by UK’s FCA, Australia’s ASIC or CySEC. You can read our review on this broker here.